Our pitmasters get their hickory logs smoldering around 4 a.m. We start with top quality meats, hand-rub them with fresh spices, and slow-cook them to perfection. 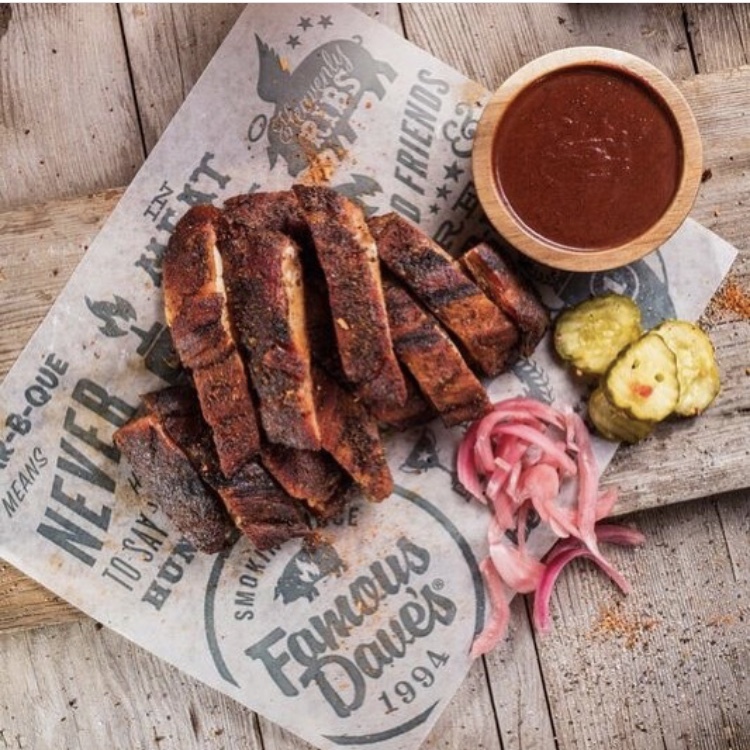 Raised by Southern-born BBQ lovers in a world of street-corner barrel smokers, Famous Dave spent 25 years visiting thousands of BBQ joints. After decades pulling his own all-night cooking sessions, he felt he was ready to open his own BBQ place in 1994. Visit Famous Dave's all year round for live music, dancing and foot-stomping good fun!